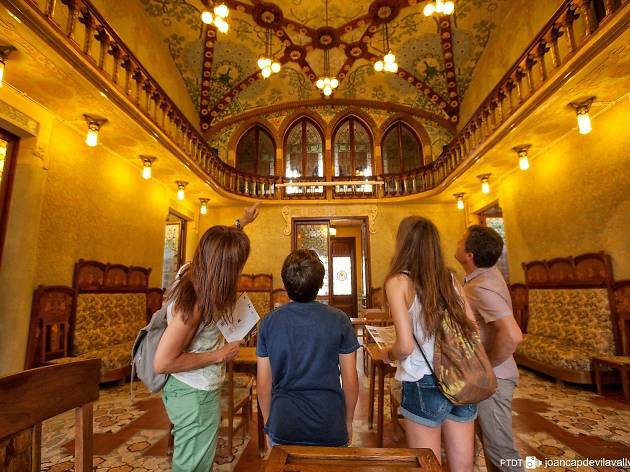 The city where Antoni Gaudí spent his childhood is full of buildings that are exceptional both inside and out, designed by Domènech i Montaner and other architects of the time. The Costa Daurada city’s shopping area is also one of its attractions, and the perfect place to stop for a glass of vermouth. IN COLLABORATION WITH L'AGÈNCIA DE PROMOCIÓ DE CIUTAT DE REUS. 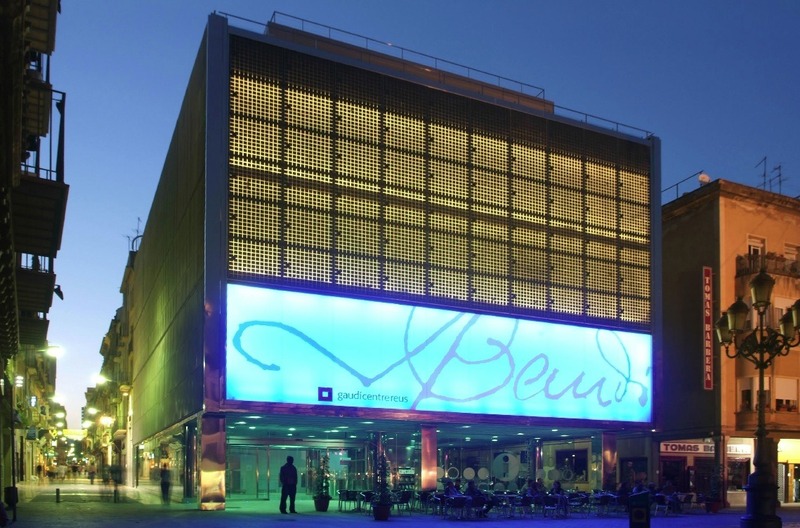 After Barcelona, Reus is the city with the greatest number of modernist buildings in the area, of which many can be found within walking distance of the city centre, on the Ruta del Modernisme. This Modernista Route is well marked out, and all the relevant buildings bear a plaque; a leaflet is available with the route and information from the Tourist Office on Plaça Mercadal. This emblematic square, is, in fact, the ideal place to begin the tour, where you can start with a view of the magnificent Casa Navàs, a beautiful house designed by Domènech i Montaner, which today you'll admire from the outside in preparation for tomorrow’s visit when you'll take a guided tour of the interior (must be booked beforehand at the tourist office). However, today you can go into the fabrics shop on the bottom floor, which was also designed by Domènech i Montaner and which still contains the original fittings and maintains the style of an early 20th-century business. These aren’t the only designs by Domènech i Montaner on the Modernista Route. In C/ de Sant Joan are the Rull and the Gasull houses. 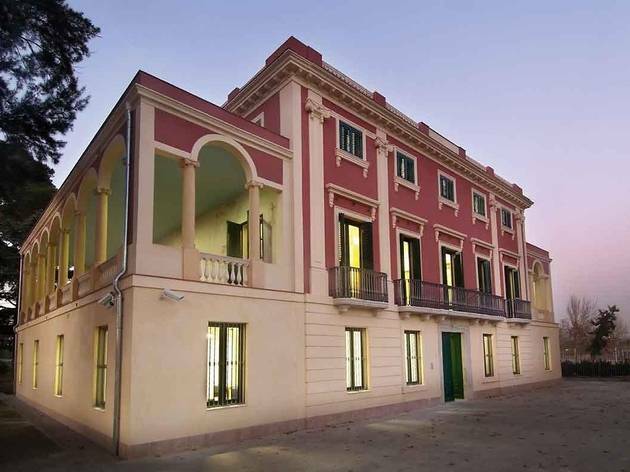 Rull, built in 1900, was his first private commission (from notary Pere Rull) when he arrived in Reus to build the Pere Mata Institute. 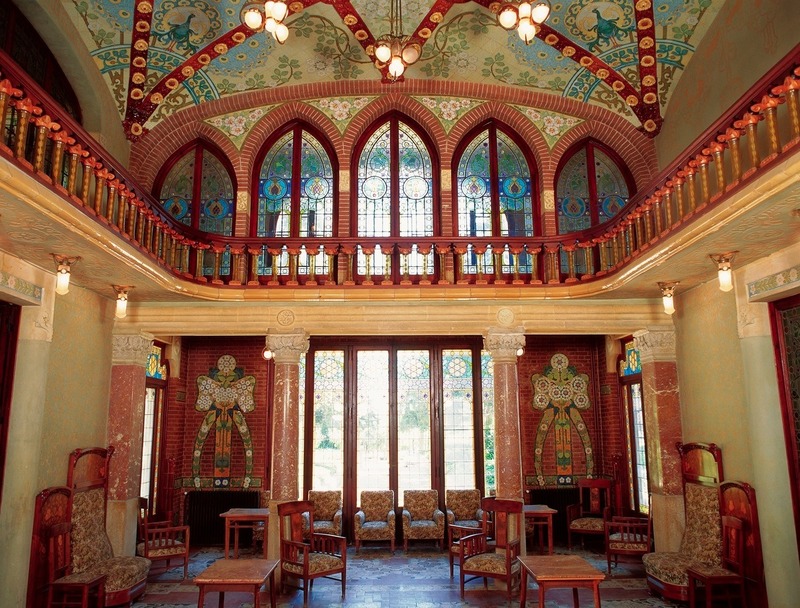 Gasull, built in 1911 for the oil entrepreneur Félix Gasull, declared the arrival of the Noucentisme style, and architecture by Pere Caselles, Joan Rubió, Pere Domènech and José Subietas demonstrate the many faces of modernisme. 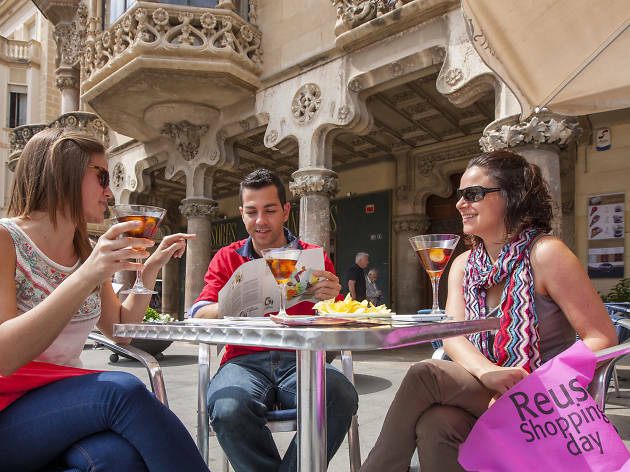 The route through Reus takes you to many well-known spots, including the Prim and Mercadel squares, and shows us the mixture of historic and modern shops that make up the city centre, where those who enjoy a bit of retail therapy can make the most of the tour. The afternoon comes to an end with a visit to the Museum of Vermouth, which opened last year in a modernista building in C/Vallroquetes, and which displays more than 1,400 bottles and 300 posters from vermouth marketing all over the world. Stop to enjoy a drink of Reus vermouth, and you can dine in the museum’s restaurant as well. 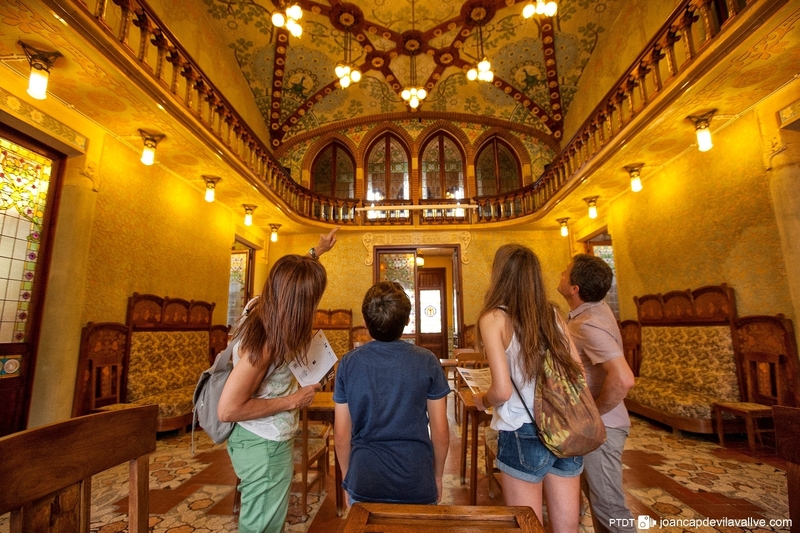 If today is a Saturday, and you've already booked the Casa Navàs guided tour, you'll be visiting the inside of one of the most spectacular modernista houses in Europe. 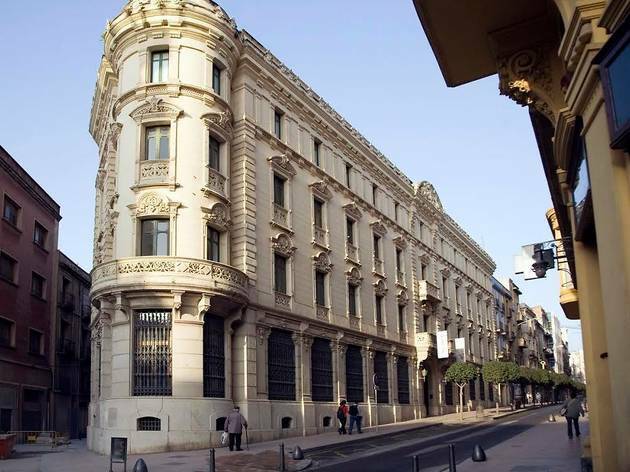 A corner building, the interior reflected the high social status of its owner, the businessman Joaquim Navàs, who commissioned its design to Domènech i Montaner. Ceramics, glass, sgraffito and mosaic are combined in this beautiful home, all complemented by modernista furniture by Gaspar Homar. After the guided visit we can take a wander around Reus’s central market in C/ de Sardà i Cailà, first built in 1949 but renovated in the 1990s, which sells a great variety of quality local products, including Siurana olive oil, Reus hazelnuts and some excellent local wines that are all labelled Designation of Origin of the region. You can also explore the outside market, which is always buzzing and where you can find all sorts of goodies. 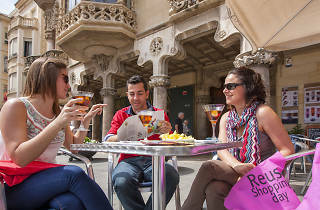 As a lunchtime aperitif there's nothing better than a glass of Reus vermouth, and to sample the local speciality, we can recommend a couple of spots: Casa Coder in Plaça del Mercadal, which is built in an old building where you can appreciate the original décor; and Capsa Gaudí, a gastro space on the top floor of the Gaudí Centre Reus. 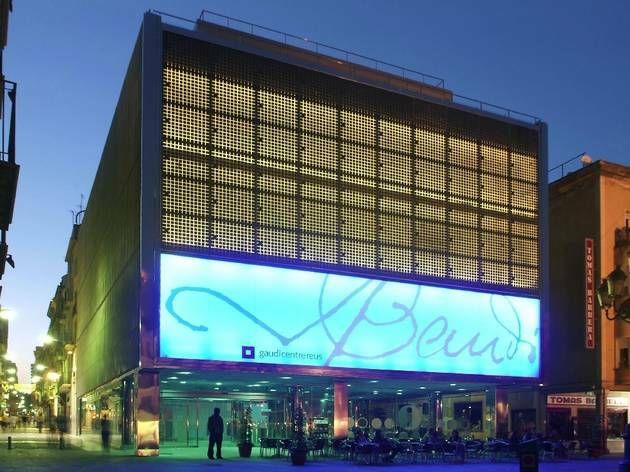 Another building that must be seen from the inside is the Pere Mata Institute, again designed by Domènech i Montaner. This hospital is about 2 kilometres from the centre, with free parking. 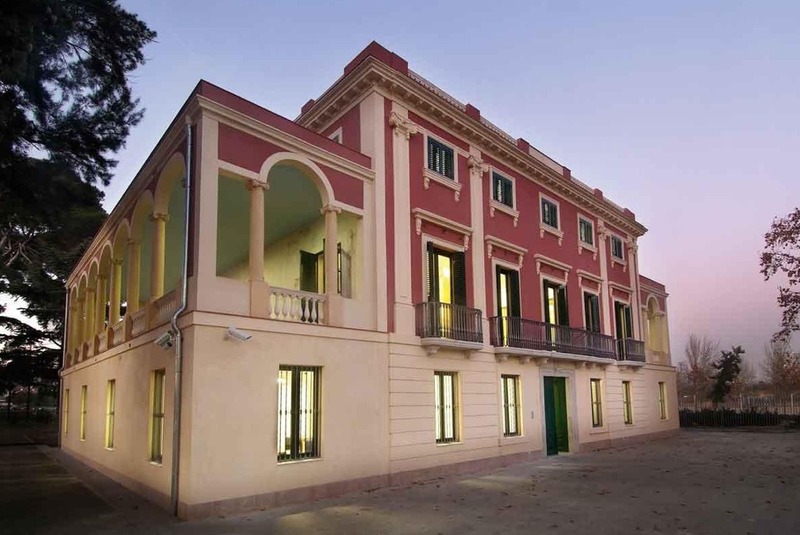 The Pavelló dels Distingits is the most luxurious wing, built for rich patients, and is open to visitors year round on Saturdays between noon and 2pm and 4pm and 6pm, as well as from June to September from Monday to Saturday between 11am and 1pm and 4.30pm and 6.30pm. You have the option of an audio-guided visit included in the price of the ticket. Part of Barcelona’s Hospital de Sant Pau, ​​the Pere Mata Psychiatric Institute, like its Barcelona counterpart, is made up of several wings. The idea was conceived by Dr Emili Briansó, and work was begun in 1898. 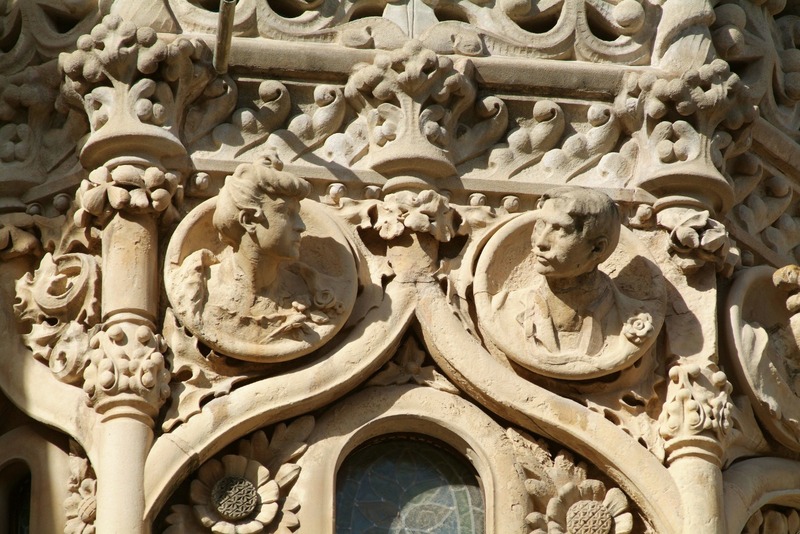 Returning to the Pavelló dels Distingits, you'll easily recognise the exterior and the rich detail of its two façades in ceramic panels and sculpture. 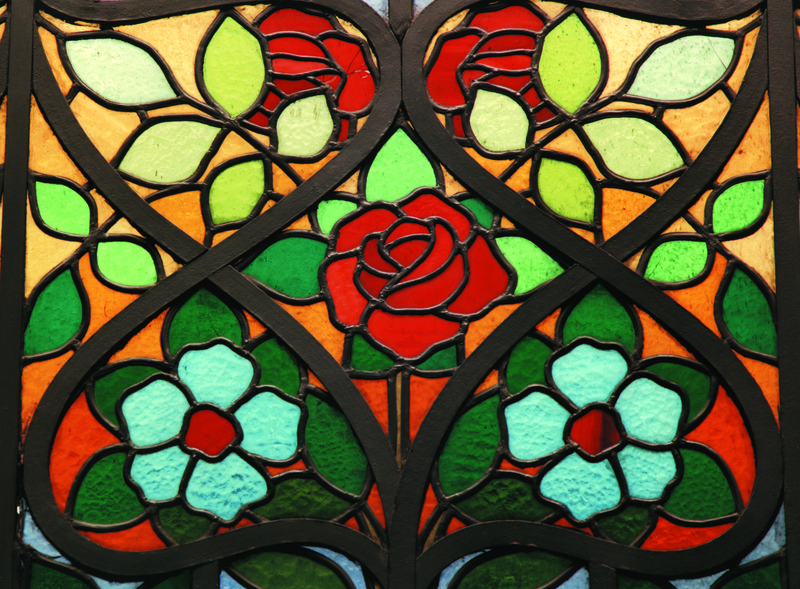 Inside, Domènech i Montaner collaborated with other renowned architects of the time to design the Romanesque mosaics in the hall and dining room floors, the glass, the parquet in the billiard room, the painted murals, the lighting and the ceilings over the stairs. Today everything is preserved in perfect condition, as is the original furniture in the bedrooms and the halls, decorated abundantly and elegantly but designed also for functionality. Once again you start your day at Plaça Mercadal, where you have yet to see the Gaudí Centre Reus, a tribute to the work of Antoni Gaudí. The architect spent his first 16 years in Reus, before leaving for Barcelona where most of his work can be seen, and this modern and ground-breaking study centre brings his work to Reus. The visit begins on the top floor, with a three-sided show that the audience watches from rotating stools. Once the show is over, the door is opened to reveal some of the most-recognised elements of his architecture. There are interactive pieces, a section where you can gain insight into the enigmas of the artist, and the centre has recently opened a new exhibition space, 'Gaudí and the Modernisme of Reus', on the first floor, dedicated to Domènech i Montaner and the modernista heritage of Reus. 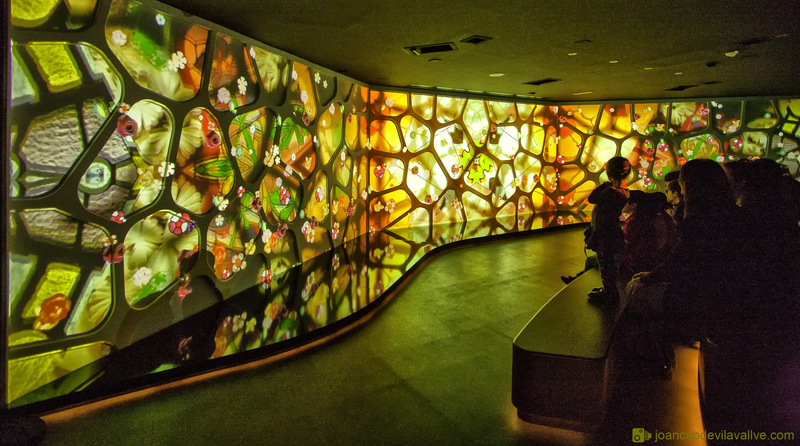 Here of note is an audiovisual piece called 'Dreams of Modernisme', which uses indoor mapping effects to transport viewers from European Art Nouveau to the work of Domènech i Montaner within the city of Reus. Before lunch, there's still time to visit the old Rofes vermouth factory, in C/ de Sant Vicenç. And as the factory is now a restaurant, it's the perfect place to sample a glass of the house vermouth before you eat. Gaudí left no examples of his work in Reus, but fans will recognise number 4 in C/ de Sant Vicenç, where the first years of his life were spent, the Sant Pere church where he was baptised, the school he attended and the Misericòrdia sanctuary where he went several times in pilgrimage. The Gaudí Route takes you to all these places and more, and it's also a great way of exploring the city, finishing at Artur Aldomà’s bronze statue of Gaudí as a child, where it's now the fashion to take a selfie as a memento of the tour. 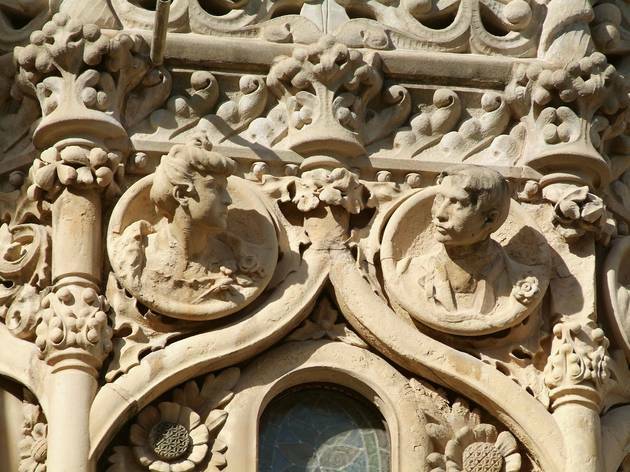 Although he designed no building in Reus, the architect Antoni Gaudí is a constant presence in the city. Located in the bustling Plaça del Mercadal, this centre uses the latest technology and spectacular scale models to explore his life and works, making a visit here a complete experience for the senses. 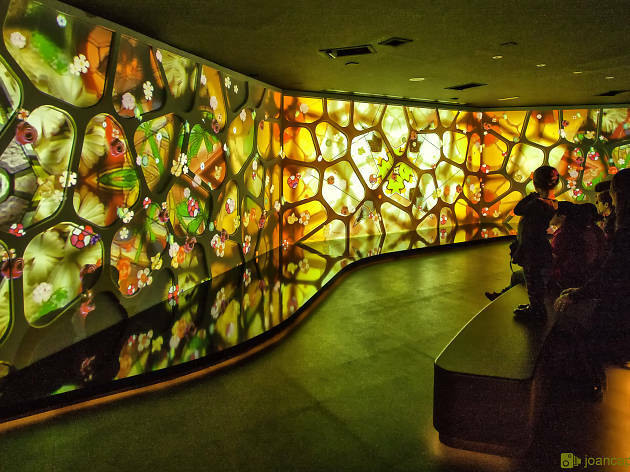 The ground floor of this museum hosts temporary exhibitions. Until the end of May you can see an extensive sample of the work of painter Josep Tapiró. On the upper floor there is a permanent collection of archaeological exhibits with pieces from prehistory to modern times. This centre is dedicated to the preservation, study and dissemination of the documental and artistic patrimony of the image. Since 2007 it has organized the international Memorimage Festival.